A Southern Grace: it's never too early for hot sauce! After years of being anti-scone, I've decided they may be one of the most ideal breakfast foods. They provide your meat, cheese, and bread all in one handy-dandy triangle. Plus, there's nothing like the zing of hot sauce to peel your eyes open first thing in the morning! That's right. I took my now go-to savory scone recipe and tweaked it a bit, using turkey and provolone and squirting in a nice dose of my now go-to hot sauce, Cholula. Have you heard of this stuff? I was sent all four flavors (original, chili lime, garlic, and chipotle) to sample and review, and I'm quite comfortable saying that each one is fantastic. I thought the chipotle version might work best in these scones, and I stand by that decision. It supplied just enough zip to get my blood flowing and spice up my breakfast wedge. Crags and craters of cheesy chew-phoria. Incidentally, the other flavors are terrific too, and so versatile. Chili Lime Bloody Mary, anyone? Combine the dry ingredients and cut in the butter until a coarse, crumbly mixture is formed. Mix in the buttermilk, hot sauce, cheese, and ham using a fork until everything is moistened and then turn the batter out onto a floured surface. Form into 2 6-inch wide disks. Apply an egg wash and sprinkle with salt and pepper, then cut each disk into 6 wedges. Transfer to a baking sheet and bake for 15-20 minutes. I am totally on board with the use of hot sauce in scones. Scones really don't get enough respect, sometimes I think they even appear wussy--hopefully the hot sauce will toughen them up. As would a bloody mary. I have never heard of that stuff - for some reason hot sauce just isn't really around Down Under, but it should be! Interesante receta y desconocida para mí. Great scones! I cannot live without hot sauce. I am not one to be picky about what I eat first thing in the morning. You will often find me downing a hot bowl of noodles as breakfast without a hint of shame. These scones look delicious! I'm so excited you've come around to scones! And, scones with hot sauce brings two of my favorite things together. Perfect breakfast. Yes, yes, yes, yes, YESH. 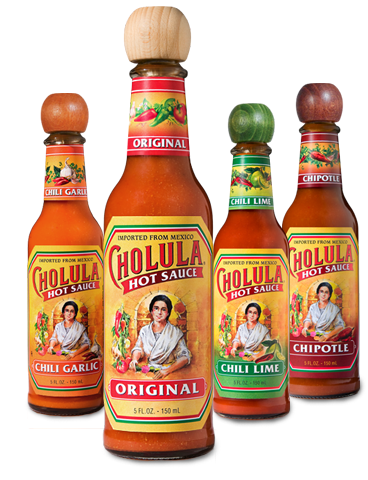 Cholula is a staple at my house too. My husband loves it sooo much that we jokingly refer to it as "the other women"
He'd love this scone for sure! We LOVE Cholula at my house! It's in the frig right next to the Frank's Red Hot and the Sriracha. I have one or the other on my egg whites most mornings. Looks yummy! Love the simplicity of the recipe for such a busy season. Have a wonderful Thanksgiving Grace! wow, does that sound delicious... I'll take two please. Looks delish and I love the idea of a chipotle hot sauce. Chipotle must be the flavor of the gods, I'm sure of it. 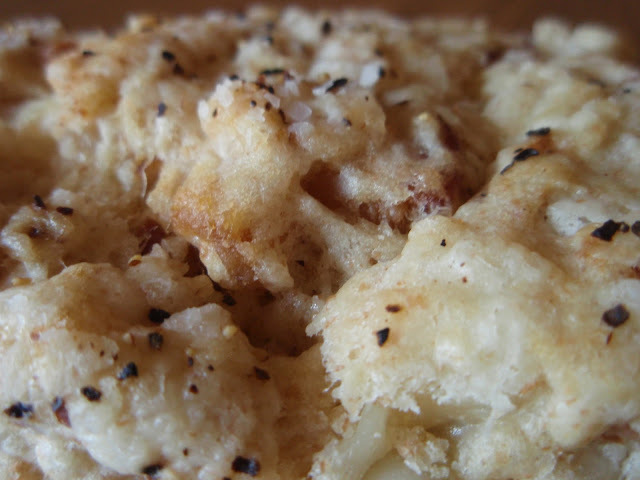 There's nothing like a delicious spicy scone to knock your socks (and your tastebuds!) off in the morning! This looks fantastic, Grace! Love that sauce, it is definitely good stuff. Bring these on! So interesting! 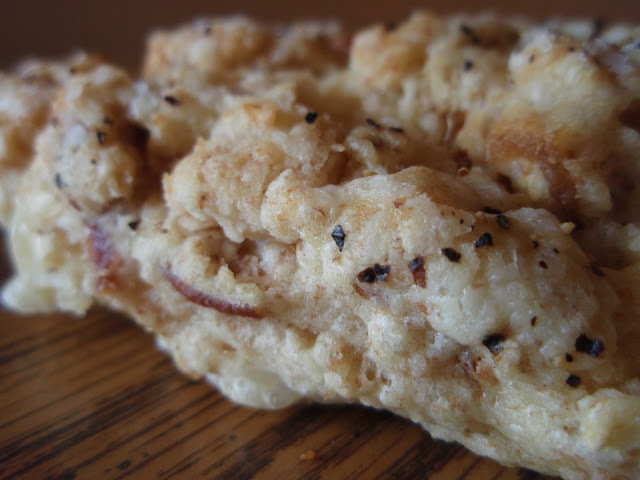 I never even thought about a savory scone...I almost pictured them being somewhat sweet. What a great idea for breakfast. That's my kind of scone! I don't know that I can do hot sauce in the morning. As for the rest of it, what's not to love? Mmmm I loves me some scones AND spicy food. I actually think I have had this brand and quite enjoyed it. Only the traditional variety though. Very intrigued by the others now. I definitely like the idea of a savory scone to start my day. Delightful. I am a big fan of savory scones--and did I see ham in the ingredient list?! Those are excellent savory scones, wonderful with the spice of the hot sauce! I admit that most of my scone experiences have involved sweet, fruity ones. But a spicy one does sound pretty darn good, too. Mmmm! I have never had a savory scone ... CAN'T WAIT TO TRY! 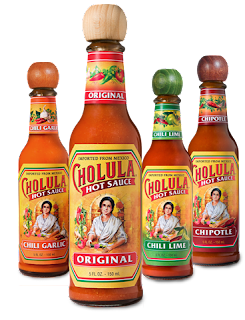 Oooh--I miss Cholula hot sauce so much! These scones look super scrumptious, and not only for breakfast! LOVE scones! Any kind. Any time of day. But with hot sauce, cheese and ham? Forget the waking up...I'm wanting this for lunch. Maybe dinner. Have a wonderful Thanksgiving, Grace. Chew-phoria! Oh Grace, I do love the way your write. And some hot sauce would definitely wake me up in the morning, I need all the help I can get! I've never had a savory scone before... my hot sauce loving husband will dig these. Newest follower! Nice to meet you. love this concept! you know i would too right? mean seriously a great way to kick up a scone. good stuff momma! I love hot sauce, I love scones, now the two together is a match made in heaven. Great post and thanks for sharing. Ah, glad to hear you have come around to scones. So now try my maple ones and I will try these savory lovelies. I love chulula. One of my favorite hot sauces. Just a tiny pinch of cayenne pepper gets my blood flowing...I could only imagine the fire after your selection. LOL. Some of us are unfortunately not blessed with strong tummies...sigh. Savoury scones are my favourite, although I have not been known to turn down a sweet one either. Have a wonderful Thanksgiving. We have so much to be thankful for. There's a woman I work with that puts hot sauce on everything, and I mean everything. This sounds so good Grace. Happy Thanksgiving!! Nice Scones~ Never tried savoury ones though but it still looks incredibly delicious! mmm girl I like the way you think. This is definitely a complete breakfast in wedge form. With a hint of knock your socks off spice. Can't go wrong there. Mmmm, wish I could reach in and grab one. I'm sitting here hungry at work. My husband would want these every morning! I always prefer savory over sweet for breakfast so these are right up my alley - yum! My hubby would especially love that hot sauce in there too. spicy scones sound so very very good! I love that hot sauce, it has such a nice flavor, what a great choice for the scone! I love buttery scones and I am thinking I could take a leap and enjoy a spicy scone with my breakfast. You are bringing traditional scones to a new level. Nice! wow what a creative way to use hot sauce! I have bought this brand of hot sauce, which I like a lot; did not know all these varieties were available. Also the idea of that savory scone got my attention! These look great! I love the little addition of smokey chipotle sauce...yum! While these may be great for an eye opener in the morning, I think mini ones would be perfect for happy hour. Now Velva need to mix up a cocktail to go along. I love the addition of the sauce to these scones! We are pretty much fans of all hot sauce. This stuff is pretty good, I'd agree.